The main function of cuticular lipids in insects is the restriction of water transpiration through the surface. Lipids are involved in various types of chemical communication between species and reduce the penetration of insecticides, chemicals, and toxins and they also provide protection from attack by microorganisms, parasitic insects, and predators. Hydrocarbons, which include straight-chain saturated, unsaturated, and methyl-branched hydrocarbons, predominate in the cuticular lipids of most insect species; fatty acids, alcohols, esters, ketones, aldehydes, as well as trace amounts of epoxides, ethers, oxoaldehydes, diols, and triacylglycerols have also been identified. Analyses of cuticular lipids are chemically relatively straightforward, and methods for their extraction should be simple. Classically, extraction has relied mainly on application of apolar solvents to the entire insect body. Recently, several alternative methods have been employed to overcome some of the shortcomings of solvent extraction. These include the use of solid-phase microextraction (SPME) fibers to extract hydrocarbons from the headspace of heated samples, SPME to sample live individuals, and a less expensive method (utilized for social wasps), which consists of the collection of cuticular lipids by means of small pieces of cotton rubbed on the body of the insect. Both classical and recently developed extraction methods are reviewed in this work. The separation and analysis of the insect cuticular lipids were performed by column chromatography, thin-layer chromatography (TLC), high performance liquid chromatography with a laser light scattering detector (HPLC-LLSD), gas chromatography (GC), and GC–mass spectrometry (MS). The strategy of lipid analysis with the use of chromatographic techniques was as follows: extraction of analytes from biological material, lipid class separation by TLC, column chromatography, HPLC-LLSD, derivatization, and final determination by GC, GC-MS, matrix-assisted laser desorption/ionization (MALDI) time-of-flight (TOF) MS, and liquid chromatography–mass spectrometry (LC-MS). 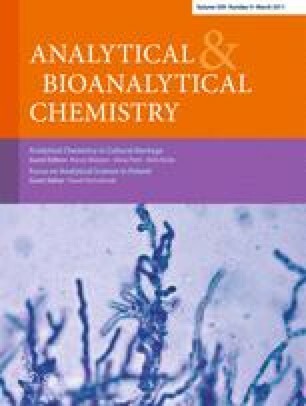 Published in the special issue Focus on Analytical Science in Poland (VIIIth Polish Conference on Analytical Chemistry) with Guest Editor Pawel Koscielniak. Financial support was provided by the Polish Ministry of Research and Higher Education under grants N N303 504238 and DS 8200-4-0085-10.